Category: Hand Dryer / Airblade Hand Dryer. Drying your hands has never been quicker with the Oryth Jet-Blade Hand Dryer TH-9922H made with a double injection air-flow system allowing drying times to be within 10 seconds. The hand dryer simply exerts a jet of air that removes moisture from both sides of your hands, creating a natural and comfortable drying process. 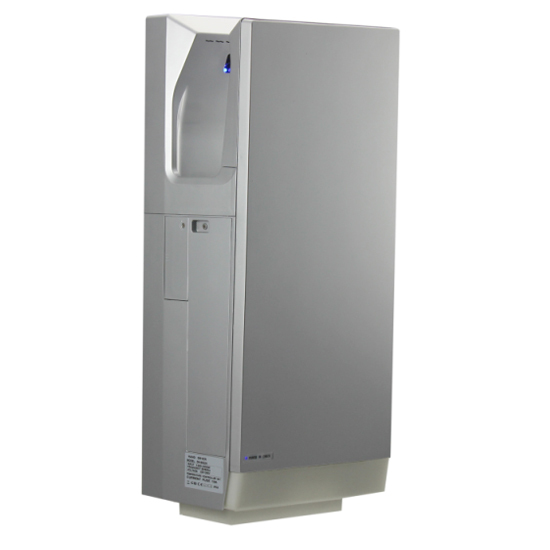 The economical Jet-Blade Hand Dryer has a high-speed motor that consumes just 5% of the energy consumed by a traditional hand dryer. In addition the user can further reduce the amount of energy consumed by being able to turn the heating element on or off. The user can also control the air output produced by the hand dryer too. 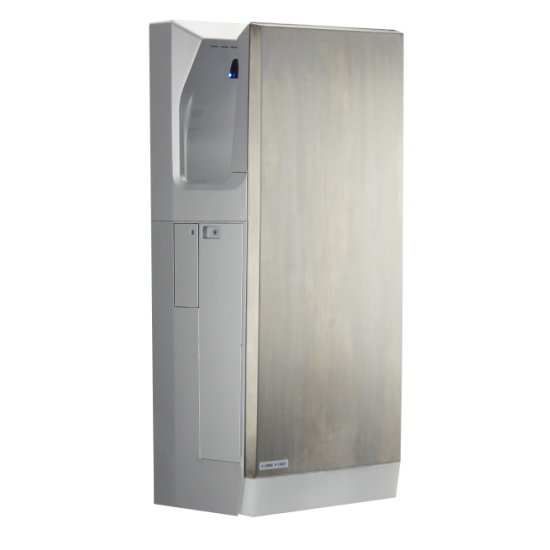 To allow for easy maintenance the hand dryer has been designed with a built-in drip tray that collects water from wet hands in a tray at the bottom of the unit. This making life easier for the owner and more cost effective as little maintenance is required. There are many eco friendly features on the Jet-Blade Hand Dryer all of which help the user reduce their carbon footprint. The hand dryer is designed to reduce energy consumption with built in features including infrared motion sensors and automatic shut off. 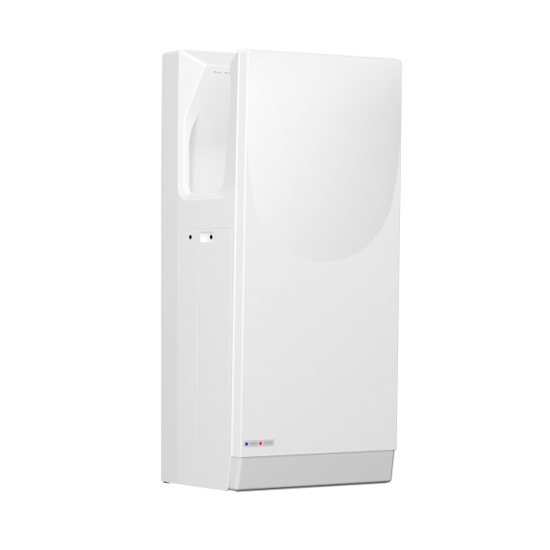 Both features encourage energy preservation when the unit is not in use. Cutting out the need to use non-reusable janitorial supplies such as paper towels, also helps reduce the levels of wastage. 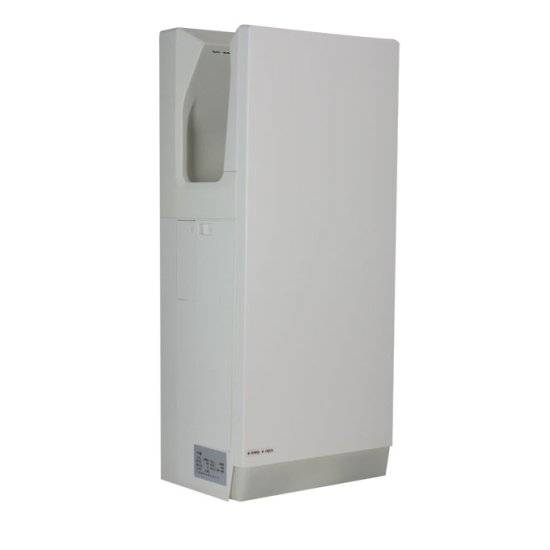 The design of the open-sided dryer allows you to dry your hands with out physically touching the unit, which reduces the risk of bacteria build up. 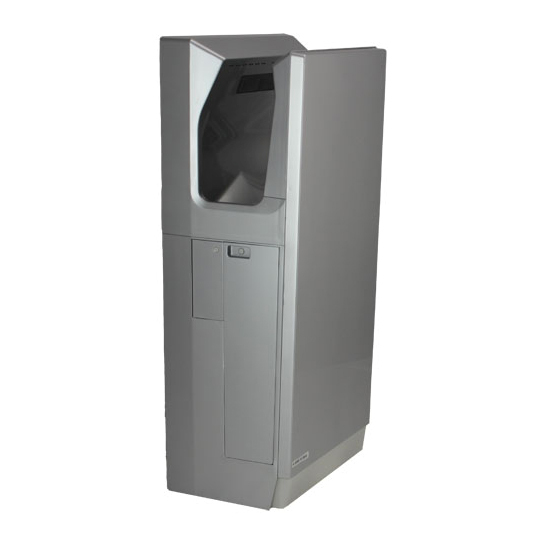 The hand dryer shell is made from a non-porous plastic, which does not harbor bacteria and allows for easy cleaning. 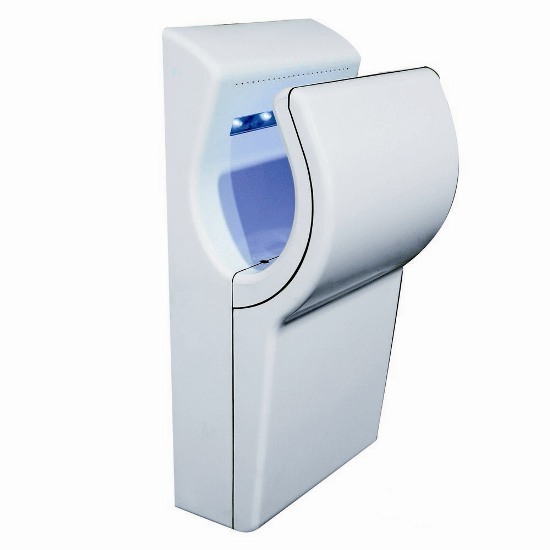 Non-Touch Hand Dryer: which reduces the risk of bacteria build up. Waterproof Construction: making it practical and safe for use in wet environments.